With experience leading, coordinating and facilitating emergency management initiatives for all levels of government, the private sector and other stakeholder agencies — Diane Radymski has designed and implemented innovative emergency management and business continuity solutions for many years. Most recently, Diane has supported organizations in both the transportation and tourism sectors to identify and manage their risk by conducting gap analyses and leading the implementation of robust emergency and continuity management programs. Understanding and promoting the importance of comprehensive management systems and continual improvement programs, Diane supports client requirements and delivers on CCEM’s core value of contributing to community resilience. From research and management to meeting regulatory and due diligence requirements, Diane understands the importance of effective regulation and designs and implements strategies to the highest standard. Diane has held emergency management positions with Emergency Management British Columbia, the Provincial Health Services Authority, and FortisBC Energy Inc.
At Royal Roads University, where she received her Bachelors of Commerce degree, Diane focused on entrepreneurship and strategy. With a Co-operative Diploma in Business Management, Diane is an accredited Associate Business Continuity Professional and is completing certificates in emergency management and exercise design. Diane is a regional recipient of the Premier’s Award for Integrated Public Safety during the Vancouver 2010 Olympic & Paralympic Games. From overseeing public safety programs to leading emergency management and corporate security programs — Christine Trefanenko has spent many years proactively identifying risks, collaborating on and designing strategies, developing procedures and communicating risk and mitigation plans to stakeholders. Recently, Christine has led projects in multiple sectors, supporting emergency and continuity management initiatives which contribute to regional and community resilience. Projects include the design and development of the Joint Municipal Regional Disaster Debris Management Operational Plan for Metro Vancouver, and creation of municipal Disaster Debris Management Plans for the City of Burnaby and the City of Richmond. 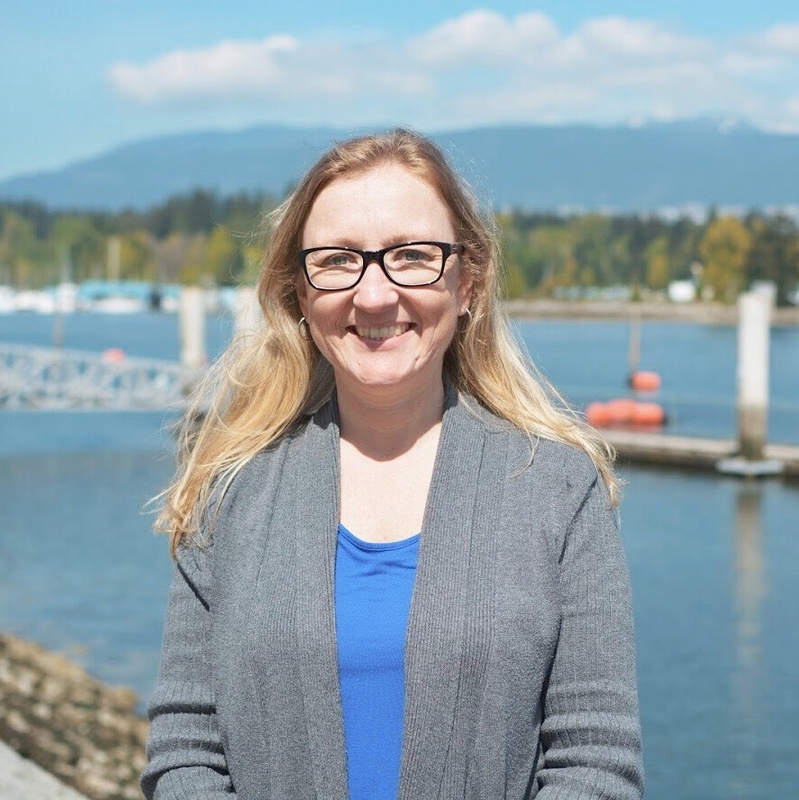 Christine has also worked to enhance the District of Kitimat’s Hazard, Risk and Vulnerability Analysis, and led the revision and enhancement of an Environmental Emergency Plan for one of BC’s utility companies’ propane facility. Previously, Christine also spent 8 years with the largest energy provider in British Columbia. As the Manager of Emergency Management and Business Continuity, Christine’s role included oversight of corporate security and public safety. Christine holds her Bachelor of Science Degree (Health Science) from Thompson Rivers University, Business Continuity Professional Certification (ABCP), and multiple applied project management and emergency management certificates. With accounting courses and a Respiratory Therapy Diploma, Christine’s background offers expertise in a variety of sectors. Christine has been a member of the CSA Z1600 Emergency and continuity management program Technical Committee for almost 5 years, and was on the Technical Committee who wrote the first version of the CSA Z246.2 Emergency preparedness and response for petroleum and natural gas industry systems. As a member of the RCMP for over 35 years, Randy brings real-life experience in planning for, responding to, and documenting the response to, emergencies. His front-line response expertise includes assessing operational performance, incident command, strategic planning, emergency planning and business continuity planning. Randy believes in developing plans that can be effectively and safely deployed by those at every level, finding practical planning solutions that can easily be adapted in developing situations. He has a demonstrated ability to interact well with all levels of government and private sector stakeholders, and works to ensure delivery is efficient and seamless. With a Certificate in Emergency Management from the Justice Institute of British Columbia and a Diploma in Law Enforcement, Randy has continued to display a lifelong commitment to learning, taking courses and earning certifications to further his knowledge of the emergency management field. With over 25 years of experience designing, implementing and leading training programs within private and public organizations, Brant’s expertise in training and development is invaluable in supporting clients looking to enhance and expand their emergency management learning and education programs. Working with the CCEM team to produce engaging, customized training – delivered as e-learning or in the classroom, Brant assists clients in educating and training personnel and stakeholders on emergency response plans and processes, including the application of the Incident Command System (ICS). To complement and support client training, Brant creates comprehensive instructional materials such as instructional guides, learner collaterals, and supporting documentation. Brant’s experience includes developing online, classroom, and distance learning for a variety of companies across Canada. He holds a Masters of Business Administration from the University of British Columbia and has designed customized training programs from learners at all organizational levels – from field staff to executives. With a robust background in geography and training, Lisa is driven by her passion to reduce vulnerability to the inherent risk involved with the natural environment. Prior to joining CCEM, Lisa spent over five years with a geotechnical engineering firm, where she worked with clients to monitor natural hazard events and evaluate the vulnerability of infrastructure to flooding and debris flows, landslides and other hazard conditions. With a complimentary background in education and training, Lisa possesses a fundamental and intuitive understanding of how to achieve instructional objectives and uses clear communication to teach large and diverse audiences. Lisa supports CCEM’s clients with the assessment of risk, fortifying emergency plans, as well as training and project management. Having completed her undergraduate degrees at the University of Winnipeg, Lisa earned both a Bachelor of Science in geography and a Bachelor of Education. Following her passion, she obtained a Master’s degree at the University of British Columbia, specializing in geomorphology. As part of her Master’s degree, Lisa spent time at the University of South Iceland completing a certificate in Disaster Management, with project work under the United Nations Office for Disaster Risk Reduction. One of the projects Lisa is most proud of is the work she did with BCIT, guiding the Squamish First Nations Ecological Restoration program. With over 10 years of experience leading and supervising various emergency management projects and teams across a range of professional and academic sectors, Michelle has developed strong leadership, project management, business continuity and consequence management skills. Having worked for the Fort McMurray Wildfire Recovery Task Force and the Government of Alberta Ministry of Environment and Parks, Michelle has a strong understanding of disaster risks and challenges faced by companies, their employees and the people they serve. Michelle’s experience implementing operational and response solutions while facilitating and training teams has enhanced her ability to positively influence working relationships with stakeholders and partner agencies. Michelle graduated from York University with a Master of Disaster and Emergency Management degree, and spent her undergraduate years studying social and organizational behavior. She has worked on the coordination and facilitation of over twenty exercises, involving multi-stakeholder agencies across a variety of backgrounds, contributing to her agility, adaptability and problem-solving expertise. With a background in marketing and communications, Alexis has over 15 years of experience in project management, event-specific plans, and community engagement and public relations. A creative self-starter, she believes in fostering open dialogue through effective and impactful outreach and collaboration. Alexis brings invaluable expertise in volunteer management and community building to her role as an Emergency Management Advisor at CCEM Strategies. Her practical knowledge in bridging two-way communication while promoting diversity and ethical practice promote a pragmatic approach to emergency management and business continuity. She understands the importance of a fluid communications strategy above all else, and strives to deliver comprehensive plans from concept to completion. With a BBA in Marketing Management, Diploma in Certification in Public Relations, and Certificate in Fundraising, Alexis is a lifelong learner, set to graduate from the Justice Institute of BC with a Diploma in Emergency & Security Management. Alexis is also a volunteer of the City of Vancouver Neighbourhood Emergency Assistance Team. From applied research and evaluation to translating complex concepts and findings into comprehensive reports, Claire is an expert in communication and data management. Having worked in a variety of consulting, academic, and non-profit settings, Claire has demonstrated a strong ability to craft impactful communication pieces for a wide range of audiences. Claire is also proficient in the use of Articulate Storyline an elearning design tool which leverages her artistic and analytical skills to provide concise, yet interesting curriculum and teaching materials. Prior to joining CCEM, Claire spent five years’ experience in the Evaluation Studies Unit within the Faculty of Medicine at the University of British Columbia (UBC), where she advanced the production of graphics and data visualizations to help improve the uptake of program evaluation findings. During this time, Claire honed her craft as a data professional, distilling complex findings and information into accessible products, which led to the production of high-profile reports and graphics for external government stakeholders. Motivated by a desire to build upon her technical and graphic design skills, Claire recently completed a certificate in Multimedia and Web Production through UBC Continuing Studies. Her initial interest in graphic design was sparked while studying cartography as part of her BSc (Honours) in Environmental Science from Stirling University in Scotland, followed by her MSc in Physical Geography from UBC. With a strong curiosity in social and environmental issues, Celina set out to pursue her interests with the completion of a Bachelor of Arts degree in Geography from Simon Fraser University, followed by a Post-Degree Diploma in Urban Planning from Langara College. As an Emergency Management Coordinator, Celina provides administrative and technical support to clients in the development and implementation of emergency and continuity solutions. 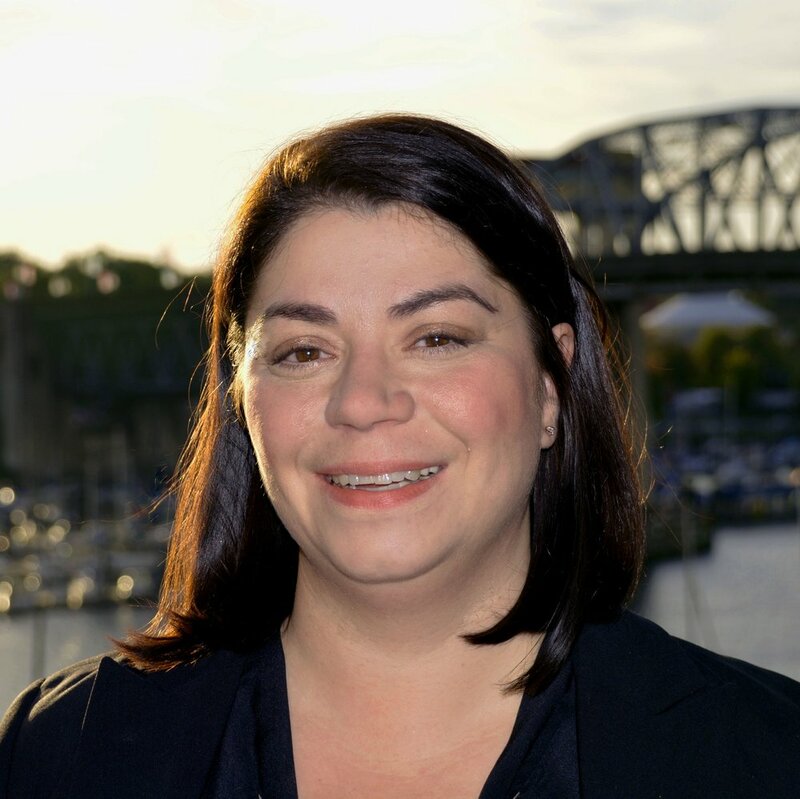 Through her educational background, Celina has developed a strong understanding of municipal plans, processes, and regulations, and continues to hone her craft as an emergency planning and management professional. Her technical expertise in urban planning is advantageous in the preparation of client deliverables, including evacuation plans. From conducting independent research, to analyzing, interpreting and making recommendations based on information obtained, Celina strives to provide clients with results-driven deliverables focused on business continuity and emergency management. Celina is a self-motivated team player, and brings a fresh perspective to the CCEM team. With a passion for social justice and emergency preparedness, Leanne understands the importance of impactful communication and proactive strategies for disaster mitigation. From problem solving and conducting independent research, to analyzing and interpreting the use of social media in disaster response, Leanne’s communications background provides ample potential to hone her craft as an emergency management professional. Through directed studies completed at Simon Fraser University, Leanne conducted a comparison of how Facebook and Twitter were used during the 2018 BC Wildfires in the Regional District of Cariboo and the Regional District of Bulkley-Nechako; as well as how Twitter was used in the 2017 BC Wildfires and Ft McMurray Wildfire. As an Emergency Management Coordinator with CCEM, Leanne ensures the team is on track with project deliverables, assists with report compilation and provides a fresh perspective to emergency preparedness and response strategies. Leanne’s contributions to the generation of recent facilitation plans have successfully produced interactive and stimulating engagement and consultation sessions. Leanne majored in Communication and obtained a Bachelor of Arts from Simon Fraser University. Leanne is furthering her studies by completing emergency management courses through the Justice Institute of British Columbia. With over 10 years of experience in administration and office support, Joanne has developed a strong skill set in office management, executive assistance and human resources. Having previously worked in Dubai and the United Kingdom, she has a well-rounded approach on how to best support the CCEM team in our dynamic, witty, fast-paced, ever-entertaining environment. With a Bachelor of Laws Degree from Swansea University, Joanne has since worked in various industries, with experience in insurance, recruitment, and legal assistance. She strives in a team environment, and works to better serve clients at CCEM Strategies. After visiting 9 countries in 5 months, Joanne is now a world traveller, with hopes to cross many Canadian destinations off her bucket list. She also loves animals, reading, and has a passion for fitness, with a goal to complete a half marathon in the near future.